From a boater’s perspective, the decision of where to stop often depends on whether there’s a good marina. Brunswick Landing Marina and the town of Brunswick, GA, offer so much that many travelers use it as a regular break in their journeys. 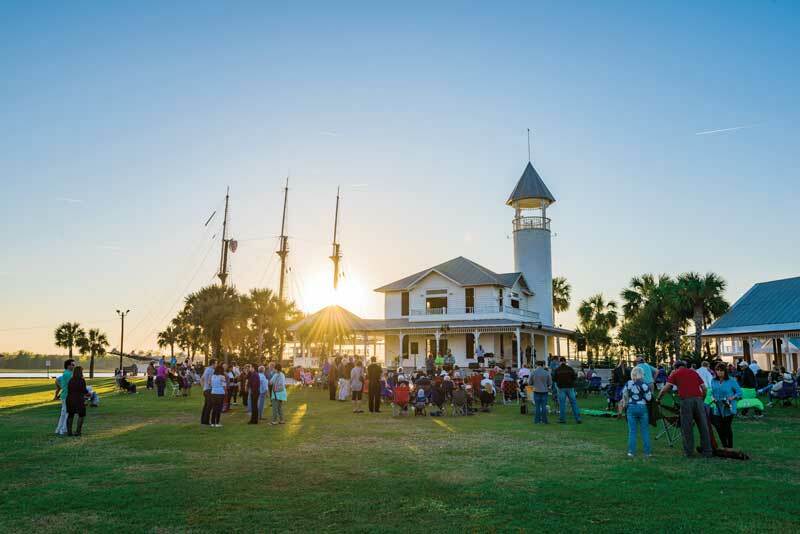 The marina has many useful amenities, and the town offers main street shopping, many dining options, sightseeing and history, plus business and industry; it’s a thriving community with plenty for any boater or traveler to appreciate. The marina alone makes it worth visiting this town. 1. A sheltered waterfront: Known for its protected location, Brunswick Landing Marina touts itself as a hurricane hole. The configuration provides minimal traffic along the outer sides of the marina. There is deep water, easy access, and cement floating docks. 2. Neighborly hospitality: The management of this medium-sized marina fosters a welcoming sense of community with nightly happy hours that include beer and wine. People from all over the marina (liveaboard folks, and long- and short-term visitors) bring a small dish of hors d’oeuvres, and the marina provides the drinks. 3. Free laundry: Usually boaters hoard quarters to be able to do laundry when we pull into a marina. At two or three dollars a load, costs add up. The free laundry at Brunswick Landing is an opportunity to wash everything on the boat. All those items that don’t get washed often, get washed at Brunswick. 4. Services at your slip: The marina also offers fuel, freshwater, and pumpout from your slip on the transient dock. When you arrive, simply pull into your slip, and they’ll bring all the services to your boat. 5. Getting around town: Bikes are available for all slip holders to use for free. 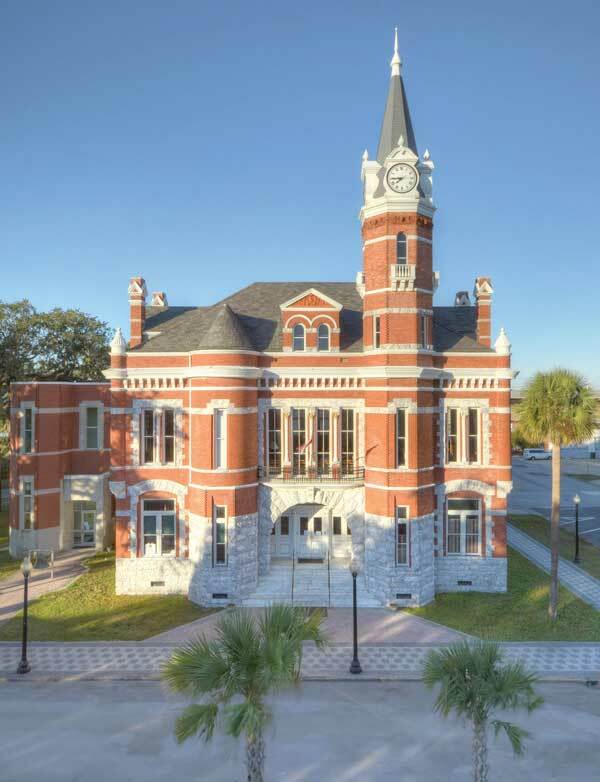 They’re a great way to explore this bustling and historic water town, which oozes with history. 6. Getting places: Exploring town from a bike or on foot is doable here. The “main street,” an easy walk from the marina, has the traditional main street look and feel, with a wide variety of shops and restaurants. An easy bike ride through town offers practical shopping, for groceries or marine supplies. Boutique shopping is also available. Across from the marina is a lovely little coffee shop, and within a few blocks on either side of the main street, the other eateries range from Thai and sushi to burgers with live music. 7. 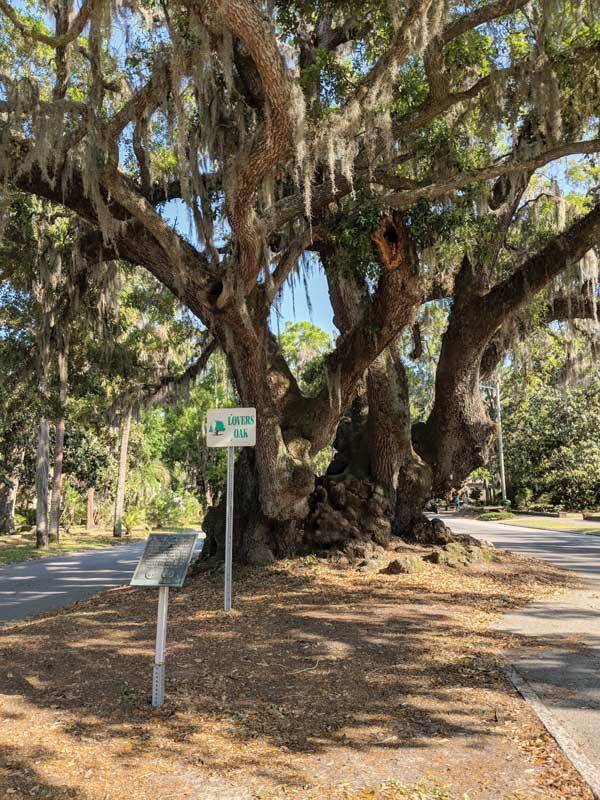 Sightseeing, attractions, and history: On a residential street down at the end of town, right on a median island, is a giant old tree they call Lovers Oak, which is reported to be 600 years old. Well manicured and beautiful park squares are all over town, laid out as part of the original charter in 1771. Many of them have signs that tell about the history of the area. Brunswick stew was first made here, and the community is so proud of that heritage that it has commemorated the occasion of the first stew by placing the pot on a pedestal in the town’s waterfront park. 8. Medical needs: The Southeast Georgia Health System Brunswick Campus has facilities designed to serve a large regional population with a wide range of services. 9. Business beyond tourism: Commerce and industry remain a significant economic engine in Brunswick and the surrounding area. Many historic towns are forced to rely on tourism as their primary business, but Brunswick has commerce beyond the tourist activity. A manufacturing innovations company, gypsum plant, seafood packing facility, and IT company are all right there in town, and plenty more businesses are situated just a bit further afield. The town even boasts a university. 10. Location, location, location: Brunswick has a great location and surrounding area. It’s positioned on the southeast coast of Georgia near some desirable destinations. The islands all around this area boast resorts, golf, national monuments, beach and seashore access, and a lighthouse with its museum. 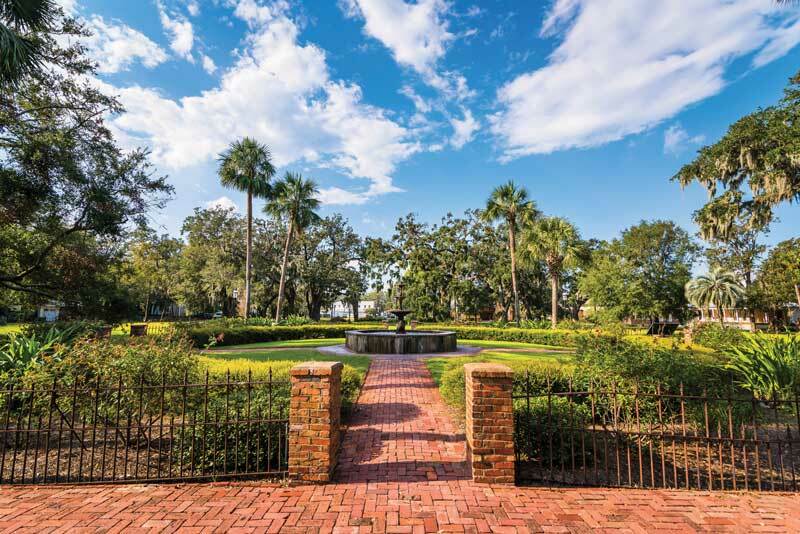 For boaters traveling the ICW or exploring Georgia’s Sea Islands, the town of Brunswick and Brunswick Landing Marina are a prime location for so many reasons. They seem to cover all of traveling boater’s needs. For more information, click to goldenisles.com/about-us.